Last week’s Atlas Line charts as posted on Flickr and Chart.ly. 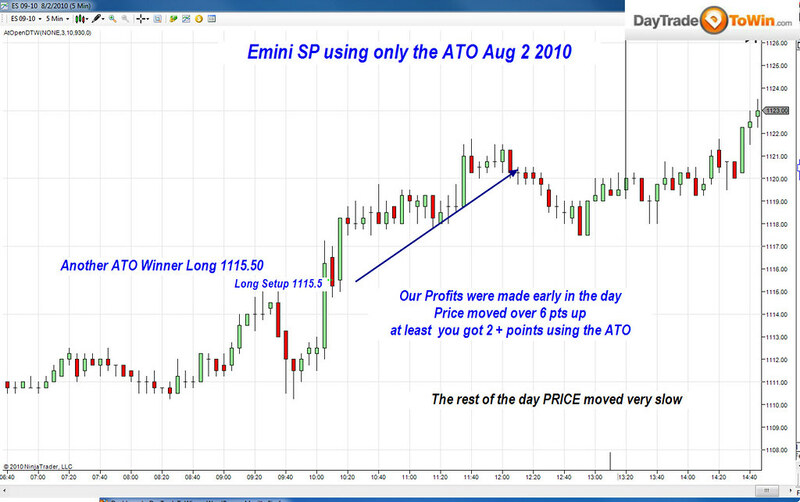 August 2, 2010 another nice winning trade long using the At the Open method. The rest of the day was very slow and very hard to trade. Glad to be done early in the day. 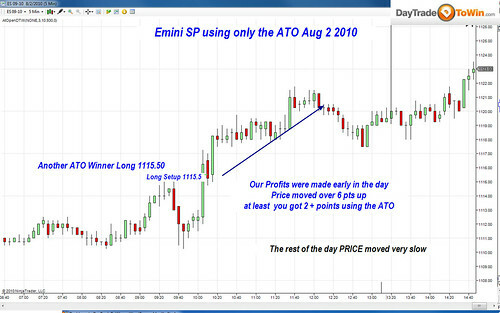 The ATO trades for 2 to 4 points on the 5 min Emini chart using only price action. It includes an indicator which gives you exact entry signals into the market and the course explains exactly how its done. The Price Action course is Scalping the e-mini market using tick charts and also comes with software to to add to your charts, but also is not nesessary since everything I teach is Price Action. 3 tick profit target on each trade.